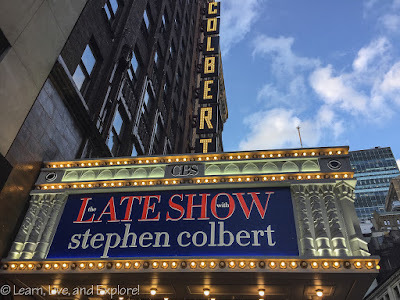 Live from NYC: Late Show with Stephen Colbert ~ Learn, Live, and Explore! It wasn't that long ago when it was easy to get tickets to see late night shows in NYC. There was Late Night with Jimmy Fallon where you knew around the time to call in to reserve tickets 6 weeks before a show. Then The Daily Show with Jon Stewart and The Colbert Report had their own systems for ticket distribution that, once you figured out, were pretty straight forward. Now, there's no more Stewart or Report, and to see Jimmy Fallon on The Tonight Show, you have to watch social media for the release date, then compete on 1Iota.com when released to get a spot on the waiting list for your preferred date. Not a reservation list with a confirmed date, a waiting list! And the spot on the waiting list? Yeah, who knows where you are in the queue because it is the opposite of transparent. I waited until the week of my requested date to be told I was turned down. Of course, they said I could wait in line all day for a cancellation ticket that may never happen - which in theory should go to the people who were on the waiting list in the first place. Ugh! Anyway, thankfully there is the beam of light now in NYC that is the Late Show with Stephen Colbert. The ticketing process was similar to his old show on Comedy Central. If there is availability, you can easily read about the process and find dates and times on the show's ticketing website. 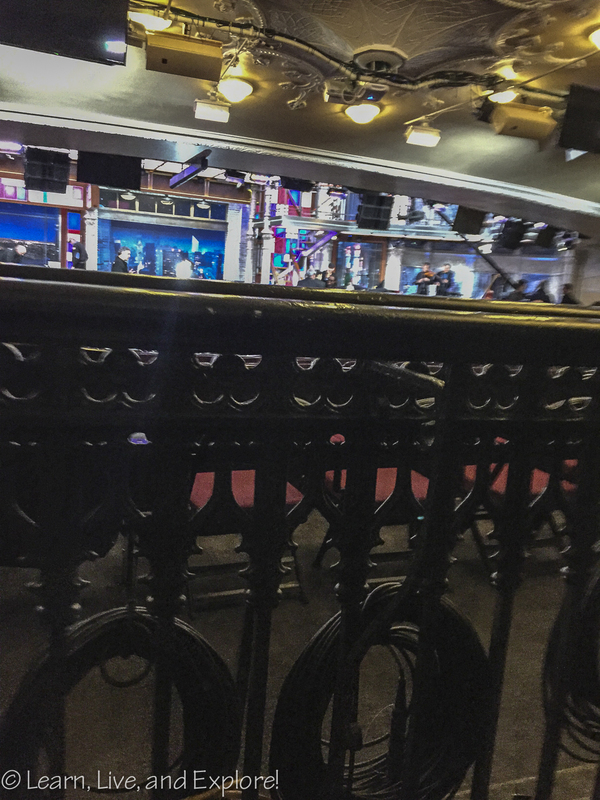 If you are a huge fan and want to be in the lower audience in the front few rows, I would suggest lining up under or near the Late Show marquee around noon for the 2pm distribution. Once the staff distributes numbered papers indicating your places in line, you are free to leave the theater to wander around and get food before returning at the designated time. When you are back in line, the staff will have you go through security and then line up, again, inside one of two rooms. The wait in that line could be up to 60-90 minutes depending on what's going on with the show. The day we were there, Stephen was taping a special intro segment, so our wait was on the long side. The show can take more than the expected hour to film. Trust me, it's worth the extra time. There was some pretty fantastic stuff that was cut from the final aired broadcast because it was not suitable for a wide audience. Stephen Colbert is a master at conversation and wit, and sometimes the conversations get cut for time or, in the case I'm referring to, content. Before the show, Stephen will come out and do a short Q&A, so bring your good questions! He is every bit as hilarious and charming in person as you would expect. Alas, if you aren't able to get tickets for the date and time you prefer, there is another option to look for Late Night with Seth Meyers tickets, so long as you do it a few weeks in advance and not the week of your trip. LNSM also uses the 1iota ticketing website, but I was able to get off the waitlist and get a reservation. Of course, it was the same time and date as Colbert, and you know which one I chose in the end! This place is clean and has nice ambiance, more like modern than classic. Our visit to venues Chicago was just amazing. 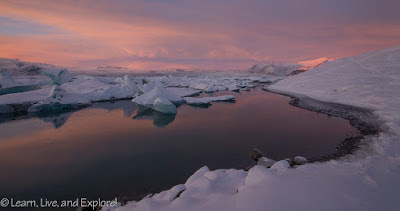 I believe it was a treat to be here. It would be a treat to attend another event here.